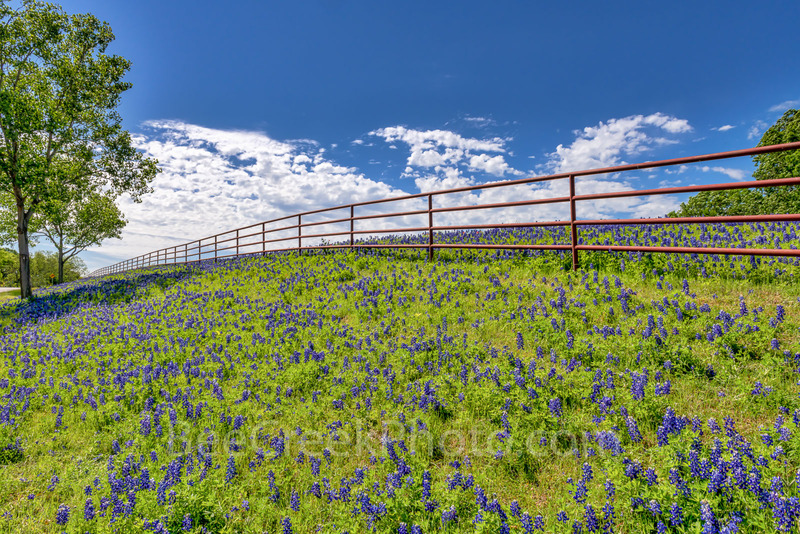 Bluebonnet Landscape - Texas Bluebonnets landscape along the fence north of Waco. The Texas bluebonnets wildflowers are very popular and people come from all over to photograph them, take selfies in them and just to enjoy the wonderful color of the wildflower in spring. This image was capture north of Waco Texas along the back roads. Photo © copyright by Bee Creek Photography - Tod Grubbs / Cynthia Hestand.